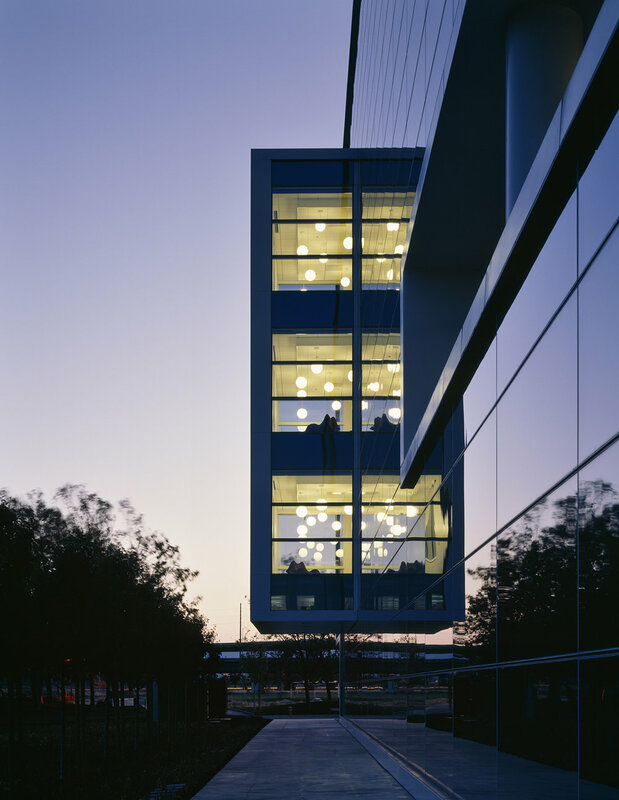 eBay Building 17 — Valerio Dewalt Train Associates, Inc.
Building 17 acts as a beacon within eBay’s North Campus. 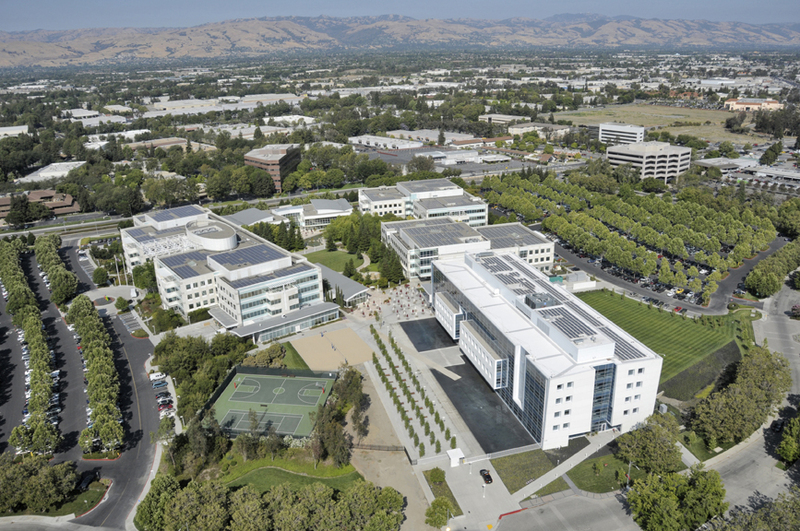 The building exterior was designed to complement the existing buildings on campus, making sure to evoke eBay’s brand and identity. 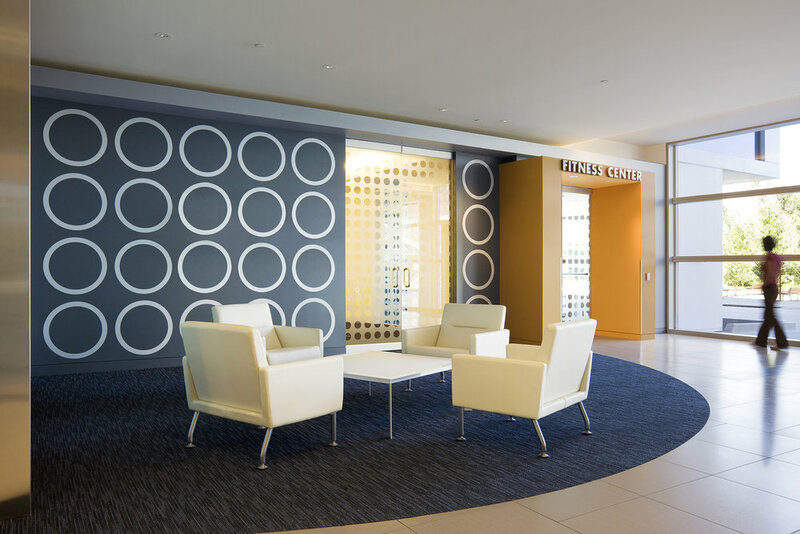 The interiors highlight the values of the corporation—it is a truly 21st century working environment that emphasizes the company’s commitment to sustainable strategies. The open office is housed on the building’s upper floors, complemented by a wide range of conference and informal collaboration spaces. The ground floor includes a 500 seat dining facility, 12,000 SF fitness center and a large data center. Building 17 has an environmental theme that is communicated through environmental graphics and its corporate art program. 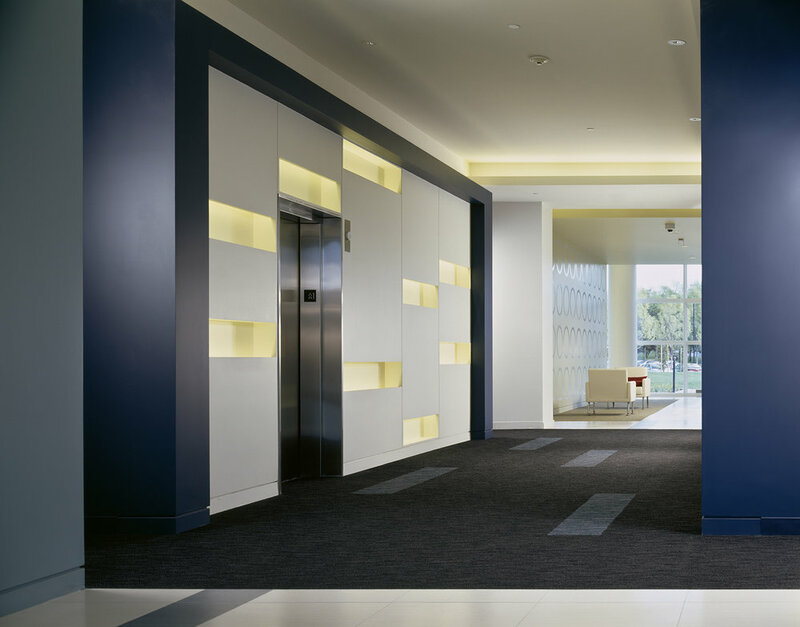 Certified LEED Gold, the building achieves an integration of design and sustainability in every facet of the design.